The Javits Center in New York City turns into a massive food hall as thousands of specialty food vendors from across the world occupy the space to showcase their finest culinary goods. 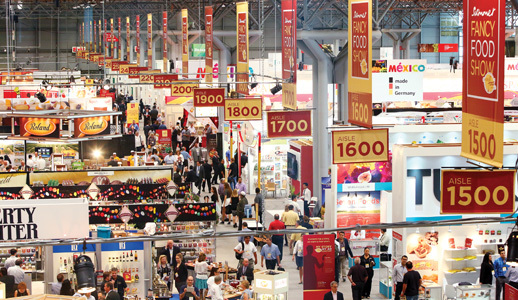 Every summer at the biennial Fancy Food Show, the Javits Center in New York City turns into a massive food hall as thousands of specialty food vendors from across the world occupy the space to showcase their finest culinary goods. The quality and the variety of food items displayed at this year's show was no exception - these are just a few of my favorite things! 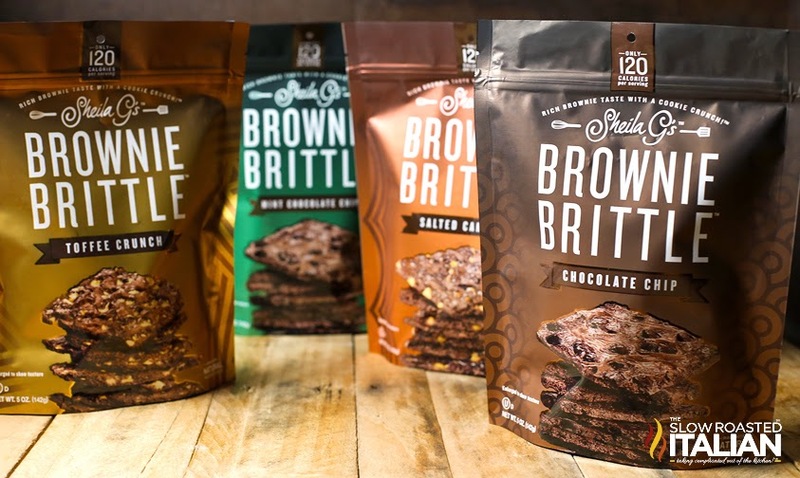 Step aside, boring ole' beef jerky, because a new type of jerky is in town and it is absolutely delicious! Fusion Jerky combines the tenderness and bold flavors of Asian style jerky with fun, fruity American flavors. Don't limit yourself to the traditional beef jerky - instead, try other proteins like pork, turkey, and chicken jerky. 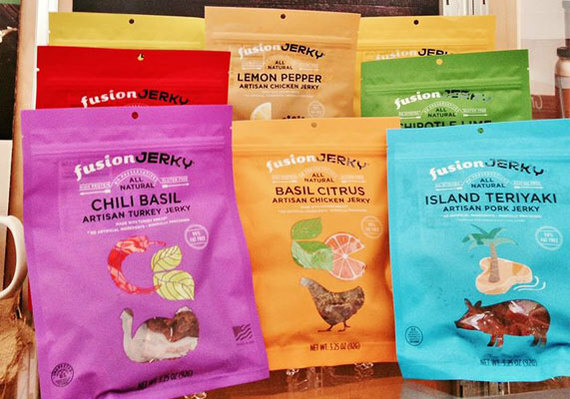 One of the many unique flavors is the Basil Citrus Artisan Chicken Jerky, which is made with succulent chicken breasts marinated with fresh herbs and citrus peel. 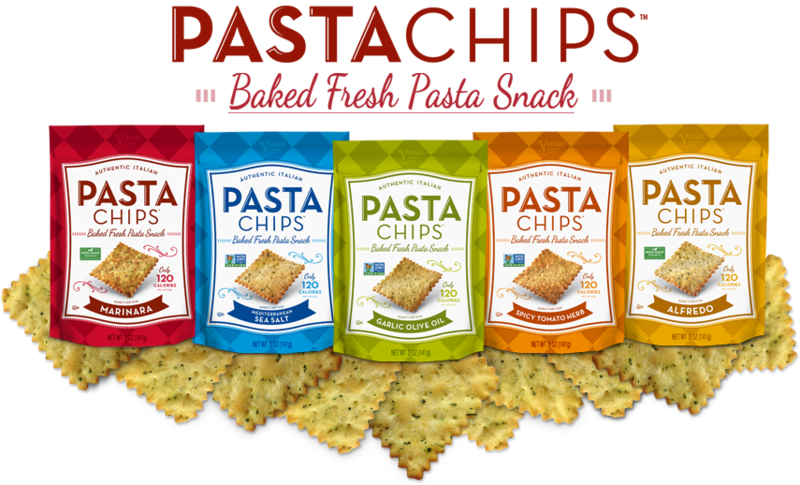 Pasta Chips are low in calories, fat, sodium, and cholesterol without sacrificing the delicious taste that snack lovers crave. These chips are the brainchild of CEO Jerry Bello, who was inspired to recreate the popular Italian dish of baked fresh pasta dough topped with olive oil and sea salt during a trip to the Tuscan Countryside of Italy. The result? 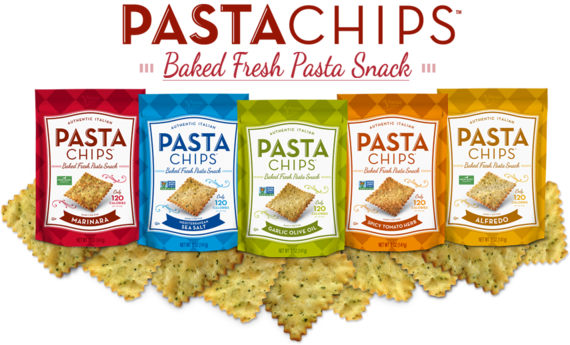 Mouthwatering Pasta Chips that include classic Italian flavors like Marinara, Alfredo, and Garlic Olive Oil. Also try the new Veggie Pasta Chips, which are infused with actual vegetables like spinach, broccoli and kale. 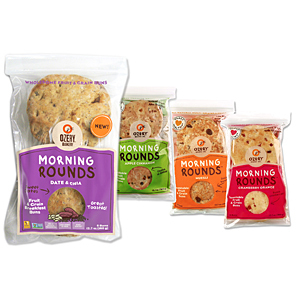 Started as a small, family-owned bakery 19 years ago, Ozery Bakery produces delicious packaged breads that are great for breakfast and lunch. Its iconic fruit and grain buns called Morning Rounds are fiber-rich and heart-healthy. Try the Date & Chia, which is filled with Chia seeds, sweet dates, and sunflower seeds and is free of artificial preservatives. Also try the newly launched Soft Ciabatta Thins - they will make you rethink those boring buns for your sandwiches! As the leading slow kettle-cooked pasta sauce manufacturer in the U.S., Victoria Fine Foods - a Brooklyn-based company founded in 1929 - uses fresh ingredients for its specialty Italian sauces and condiments. 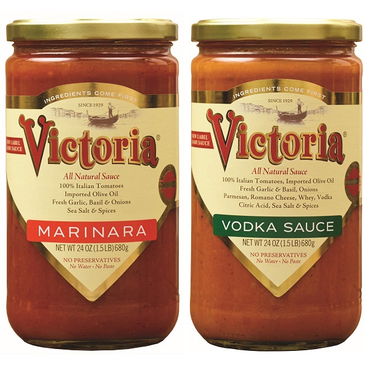 Using traditional cooking methods, Victoria sauces are slow kettle-cooked in small batches to ensure rich flavor and a homemade taste. Try its traditional Marinara sauces, as well as the vegan sauces that include Alfredo and Vodka sauces. 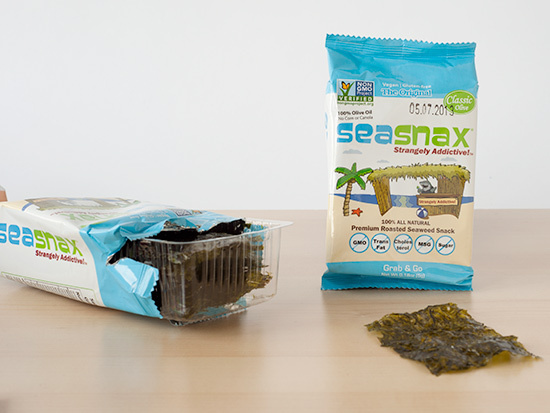 As the original vegan, gluten-free, and non-GMO Project Verified seaweed snack, SeaSnax lives up to its reputation by producing delicious and healthy snacks for children and adults alike. Lightly roasted using organic seaweed, these snacks are rubbed with 100% organic extra virgin olive oil and just a pinch of sea salt. SeaSnax contains no artificial colors, flavors or preservatives. Try its new flavors - Barbecue and Jalapeno + Lime - and you will immediately dump those unhealthy potato chips. 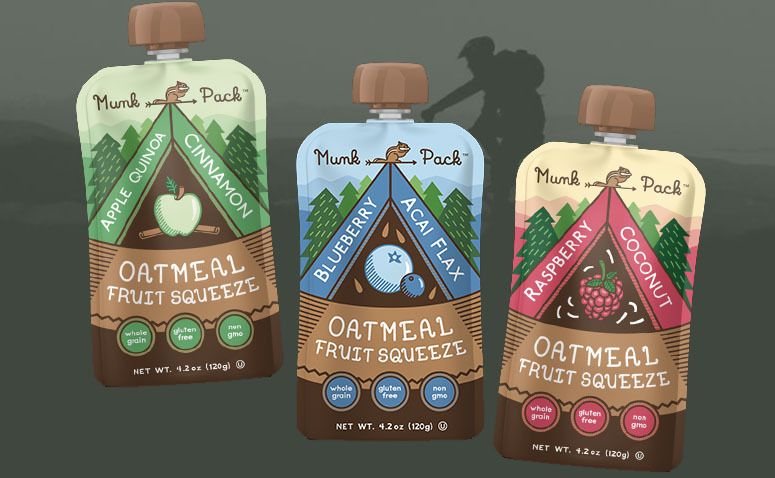 Rethink your typical oatmeal with Munk Pack, a satisfying mix of whole grain rolled oats, flax, and delicious fruits that provides an excellent source of fiber and energy to sustain you throughout the day. 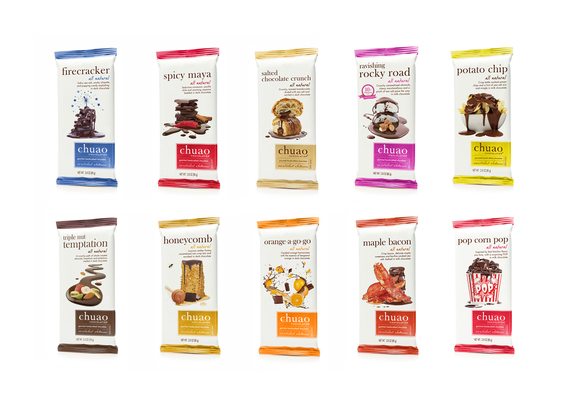 The best part of Munk Pack is that each serving is packed into a pouch that you can eat on-the-road. Try interesting flavors like Raspberry Coconut - a blend of ripe red raspberries, oats, and coconut shreds - to experience a muesli-like texture along with the smoothness of a puree. Munk Pack is a truly eclectic twist on oatmeal. 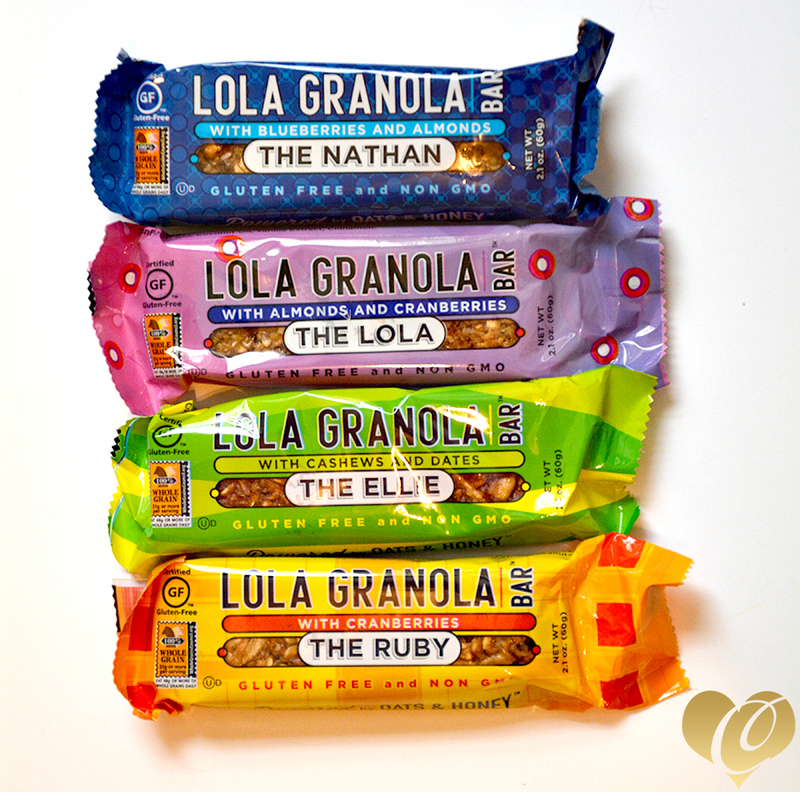 Powered by simple yet nutritious local ingredients, Lola Granola Bars are the perfect way to satisfy your hunger while providing key nutrients. The core ingredients in these gluten free bars are sourced locally, such as Massachusetts cranberries, New Jersey blueberries, and New York honey and gluten free oats. 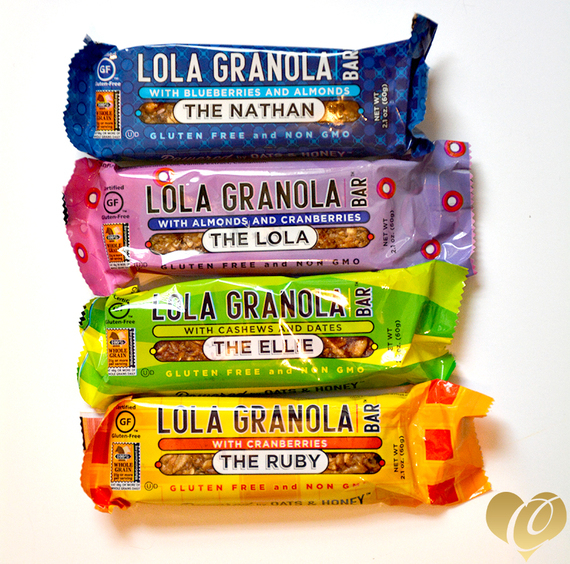 Each bar is named after the founder's children and nephew, like the delectable Lola that teems with vibrant cranberries and almonds, as well as the decadent Nathan that brims with blueberries and almonds. Specializing in ethically sourced chocolates, Chuao Chocolatier launched its latest addition - breakfast-inspired chocolate bars - to the collection of culinary driven sweets. Both the flavors and the texture in Cinnamon Cereal Smooch and Strawberry Waffle Wild add a unique, interesting surprise to the smooth and rich milk chocolate. Who said vegan treats that are packed with protein can't be delicious? 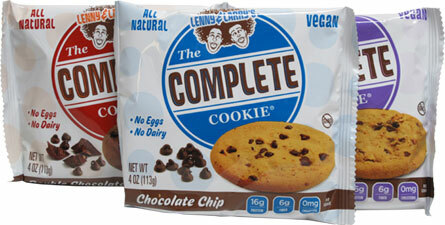 Lenny & Larry's makes delicious vegan cookies and brownies that are rich in protein and fiber. Among the variety of cookie flavors that ranged from the old-fashioned snickerdoodle to classic chocolate chips, I would recommend the pumpkin spice. Each bite of the dense yet moist cookie packsa kick of rich pumpkin flavor. The protein brownies could serve as the perfect snack after a workout (each brownie has 20 grams of protein!) or after a savory meal. Perhaps you can even top it with vegan ice cream! Sheila G.'s crunchy brownie snacks are a great way to satisfy your sweet tooth without the guilt. Imagine these thin brownie squares - made with Sheila's family recipe for fudge brownies - as rich, dense, and perfectly sweet brownies with loads of crispy and crunchy edges. Each bite of the wafer-thin Mint Chocolate Chip Brownie Brittle, packed with minty morsels of chocolate chips, is enough to turn anyone into a brownie piece addict. These square-shaped brownies from Brownie Points bring back memories of childhood when your mother hands you a piece of fresh-out-of-the-oven brownies with warm, gooey center. 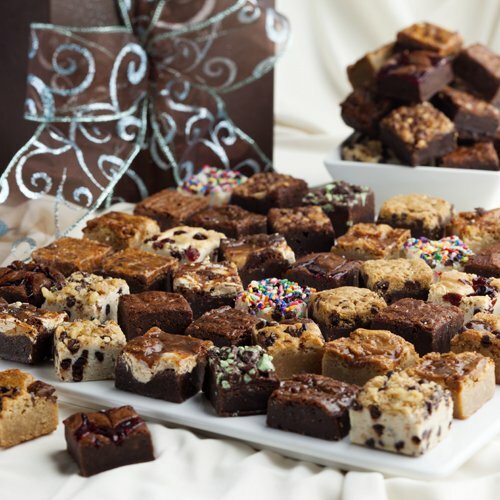 In addition to the gourmet brownies made with freshest ingredients with no preservatives, Brownie Points also specializes chocolate-covered treats, such as crunchy popcorn with chocolate and caramel drizzles and hand-dipped pretzel rods and twists. Gluten free? Allergic to nuts? Vegan? No problem! 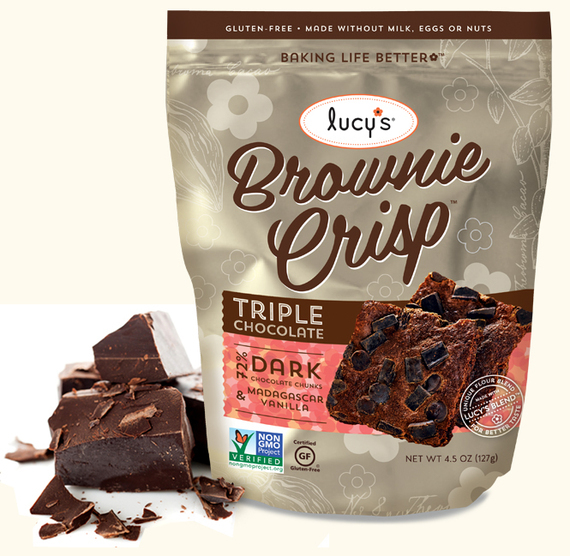 Lucy's specializes in allergy-friendly sweets made without wheat, dairy, butter, eggs, or peanuts. Its newest treat, Triple Chocolate Brownie Crisp, features a delectable mix of dark chocolate chunks, chocolate chips, cocoa, and organic Madagasca vanilla to create a symphony of deep, rich flavor. Also try Lucy's collection of vegan cookies, like the Ginger Snaps made with real ginger, lemon, and a tad of chipotle spice. A manufacturer of delicious Belgian snacks and sweets, Belgian Boys has made a namesake by selling its goodies across the US, Asia, and Europe. 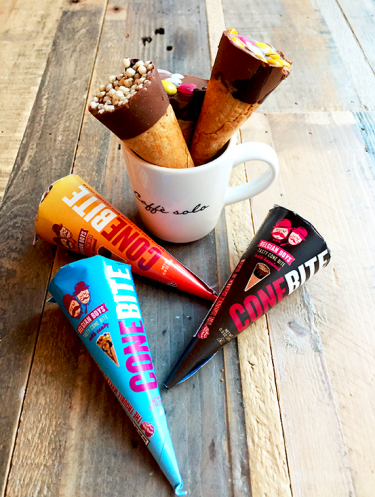 Among its indulgent products are the brand new Cone Bite, a tasty mini waffle cone filled with real Belgian Callebaut dark chocolate and an intensely flavored creamy milk chocolate fudge that will melt in your mouth. Try all three flavors, including Candy, Caramel, and Hazelnut. You can taste the small chunks of colorful candy pieces, creamy caramel, or crunchy roasted hazelnut that bring the smooth play on textures in this heavenly cone. The variety of products by Califia Farms - the fastest-growing natural beverage company - ranges from almond milk to cold brew coffee to fruit juices. Its best-selling almond milk, made with raw, California almonds, pairs perfectly with cereal or just by itself because of its remarkably creamy and subtly sweet flavor. Don't miss Califia Farms' seasonal drinks, such as Pumpkin Spice Latte with almond milk or dreamy Cinnamon Horchata, when they are in season. A first of its kind line of natural, ready-to-drink non-alcoholic cocktails, Mocktails Brand are made for non-drinkers, drinkers, and health conscious consumers alike. 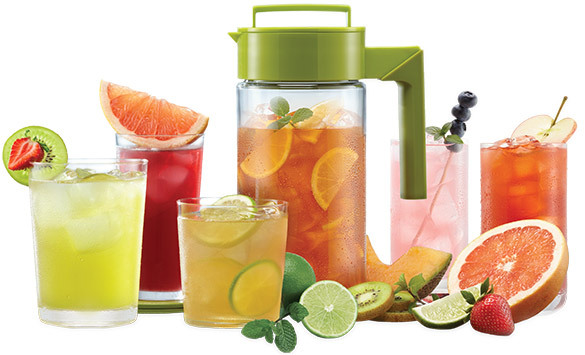 You can drink these delicious mocktails straight from the re-usable glass shaker bottle, or pour over alcohol for a quick and easy cocktail. Flavors include Karma Sucra Cosmopolitan, Vida Loca Margarita, Sevilla Red Sangria, and Scottish Lemonade Whiskey Sour. 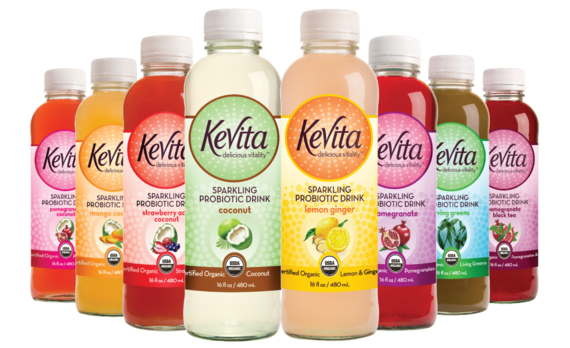 KeVita's unique line of bubbly probiotic drinks are made for healthy, active consumers. 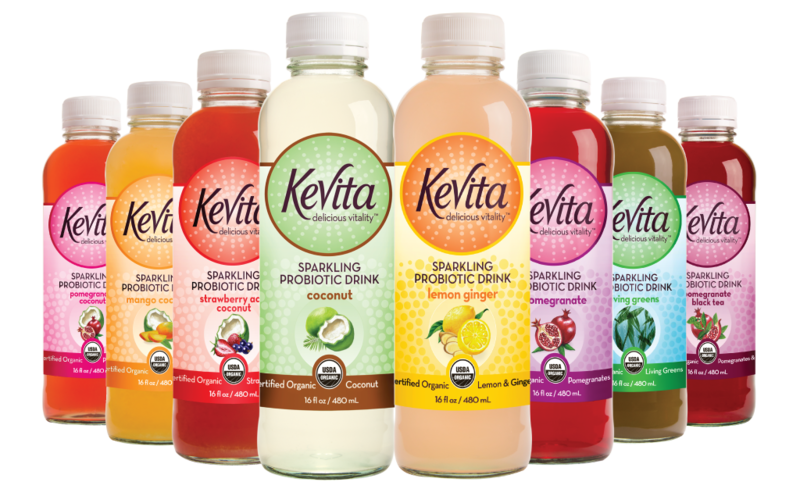 At the heart of each drink is its proprietary culture with four strains of live probiotic. The drinks are also low in calories with no added sugar. Try the Hibiscus Berry, which has a refreshing flavor from a blend of flowers, berries, and probiotics. Another favorite is the Lemon Cayenne which has a kick of spicy added to the drink. 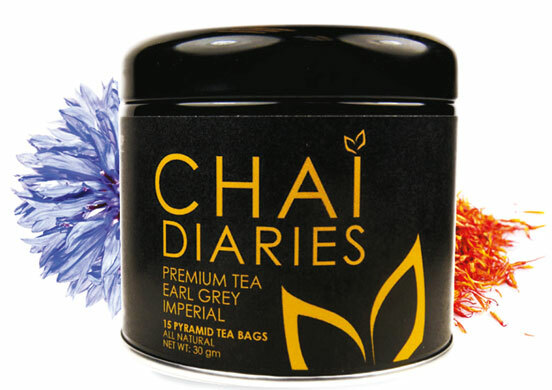 Inspired by the founder's desire to create a sustainable business that upholds the values of "self-realization through daily activities," Chai Diaries was created to showcase a chic brand of premium teas made with whole, organic ingredients. Chai Diaries specialty teas are available in whole, loose, or 100 percent biodegradable pyramid tea bags. Cherries, particularly tart cherries, are often praised as the "Super Fruit" because they are packed with antioxidants that help with weight loss, healthy heart, and peaceful sleep. Cheribundi, which produces tart cherry juice, is one of the best and only source of pure tart cherry. 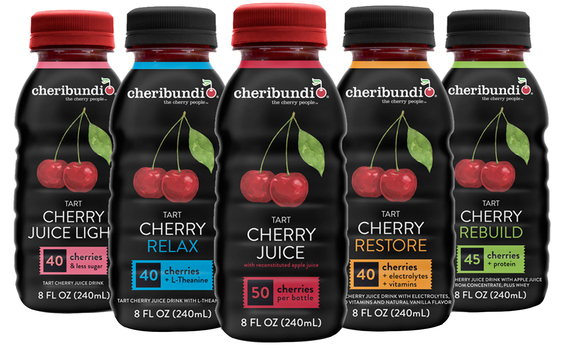 Each serving of the beverage contains up to 50 tart cherries. Join the flash chill movement with Takeya this summer. Flash Chill is the latest innovative way to brew tea, chilling freshly brewed tea in seconds, locking in freshness, flavor, and nutrients at its peak, and delivering the perfect glass of iced tea. Takeya manufactures home beverage making systems and drink ware that are designed to save consumers time and money, as well as to promote a healthy lifestyle.